For other uses, see Al rahman (disambiguation) and A. R. Rahman. The title of the surah Rahmaan, which appears in verse 1, means "The Most Beneficent". The divine appellation "ar-Rahman" also appears in the opening formula which precedes every sura except Sura 9 ("In the Name of God, the Lord of Mercy, the Giver of Mercy"). 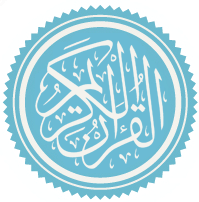 English translations of the sura’s title include "The Most Gracious",  "The All Merciful", "The Lord of Mercy", "The Beneficent", and "The Mercy-Giving". Scholars have disagreed about whether Ar-Rahman ought to be categorized with suras of the Makkah or Madinah period. Theodor Nöldeke and Carl Ernst have categorized it among the suras of the early Makkah period (in accordance with its short ayah length), but Abdel Haleem has categorized it in his translation as Madinian. According to the traditional Egyptian chronology, Ar-Rahman was the 97th sura revealed. Nöldeke places it earlier, at 43, while Ernst suggests that Sura 55 was the fifth sura revealed. Ar-Rahman is composed entirely in saj’, the rhymed, accent-based prose characteristic of early Arabic poetry. Owing, perhaps, to the sura’s poetic beauty, it is often regarded as the 'beauty of the Quran', in accordance with a hadith: Abdullah ibn Mas'ud (R.A.) reported that Muhammad (S.A.W.) said, "Everything has an adornment, and the adornment of the Qur'an is Surah ar Rahman" [Bayhaqi in Shuab al Eiman]. The most notable structural feature of Ar-Rahman is the refrain "Which, then, of your Lord’s blessings do you both deny?" (or, in Arberry’s rendering, "O which of your Lord's bounties will you and you deny? "), which is repeated 31 times in the 78-ayah sura. The sura is composed of 26 couplets, 4 tercets, and an introductory stanza of 13 ayahs all ending with this refrain. The final couplet is followed by a blessing of Allah’s name. Thematically, Ar-Rahman can be divided into roughly three units. Verses 1-30 expound upon natural displays of Allah’s creative power and mercy in showering those who inhabit the earth with blessings. Verses 31-45 describe the final judgment and the terrible punishment that will be inflicted upon sinners. Verses 46-78, by contrast, detail the delights that await the pious in paradise. One of the main aims of the sura is to chastise men and jinn for their lack of gratitude towards Allah, who has showered them with an abundance of blessings. Verses 1-30 describe some of the resources (fruits, palm trees, husked grain, fragrant plants, fresh and salt water, pearls, ships) that Allah has graciously provided for the men and jinn he created, in his infinite mercy, out of clay and smokeless fire (55:14), and set down under a sky illuminated by the twin risings of the sun and moon (55:17). In addition to these material blessings, verses 1-4 recount the fact that Allah taught man how to communicate and even gave him the Qur'an to guide him on the path to righteousness. The refrain, "Which, then, of your Lord’s blessings do you both deny? ", chastises the bountifully-provided for men and jinn for failing to acknowledge their indebtedness to Allah for his tremendous mercy. The punishment that awaits these ungrateful creatures is briefly described in verses 35-45; for the remainder of the sura, the delights of the gardens of paradise (replete with shading branches, flowing springs, fruit, maidens, couches, cushions, and fine carpets) are lyrically described, punctuated throughout by the stinging refrain which draws attention to the discrepancy between Allah’s mercy in providing such luxuriant rewards and the ingratitude of men and jinn. The idea that man’s gratitude towards Allah is not commensurate with Allah’s tremendous mercy is a central, recurring theme in the Qur'an, especially in the early Meccan suras, and Sura 55 is an important poetic treatment of this theme. The sura also exemplifies the Qur'an’s tendency to be self-referential and self-validating, as when in verse 2 it emphasizes the fact that Allah taught the Qur'an to man out of mercy. In terms of theological developments, Ar-Rahman introduces a three-tiered classification of men and jinn: the best of believers ("those near to God", the muqarrabīn who will ascend to the higher garden of paradise), the ordinary believers ("those at his right", the ashāt al-yamīn who will enjoy the second garden of paradise), and the disbelievers (who will be punished in Hell). This division is echoed in the following sura, Al-Waqi’a. Finally, it is worth noting that the sura is dominated stylistically by pairs, which in the Qur'an are frequently employed as a sign of the divine. To begin with, it is addressed to a dual audience of men and jinn: in Haleem’s translation of the refrain "Which, then, of your Lord’s blessings do you both deny? ", "both" is understood to refer to men and jinn (likewise for the "you and you" in Arberry’s rendering). Natural phenomena are also referred to in pairs: for example, "the sun and the moon" (55:5), "the stars and the trees" (55:6), "the two risings and the two settings [of the sun and the moon]" (55:17), and "the two bodies of [fresh and salt] water" (55:19). In addition, paradise is described as consisting of two double gardens (55:62), each of which contain a pair of springs (55:50, 55:66) and fruit in pairs (55:52). ^ The Koran, trans. A. J. Arberry (Oxford Islamic Studies Online), Q55. ^ The Qur’an, trans. M. A. S. Abdel Haleem (Oxford: Oxford University Press, 2010), 353. ^ Haleem, The Qur’an, 353. ^ Carl Ernst, How to Read the Qur'an (Chapel Hill: The University of North Carolina Press, 2011), 40. ^ Ernst, How to Read the Qur'an, 44. ^ Ernst, How to Read the Qur'an, 215. ^ "Rhyming Prose", in Encyclopaedia of the Qur’an, ed. Jane Dammen McAuliffe (Leiden: Brill, 2001). ^ Arberry, The Koran, Q55:15. This page was last edited on 24 March 2019, at 11:39 (UTC).